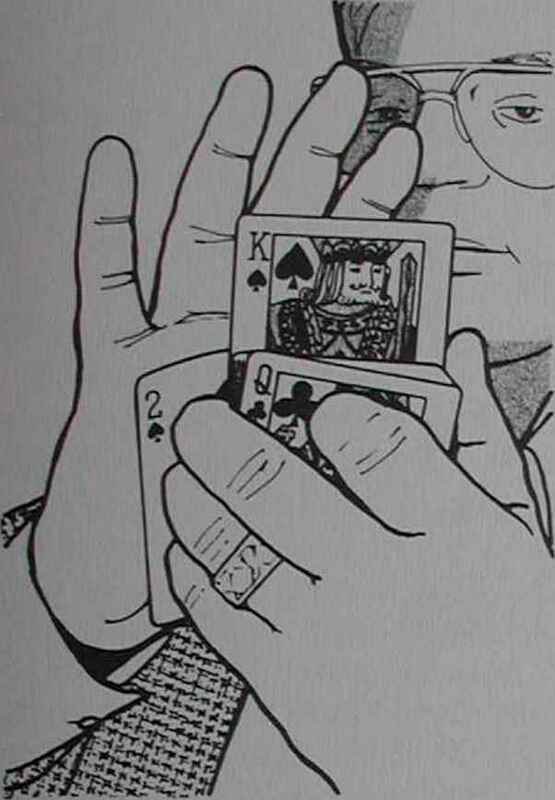 This is another gag with cards which is similar in use to the shuffle gag presented earlier. It can be used instead of the other gag but not along with it. In effect the magician hands the deck out to the audience to be shuffled. Upon the return of the deck, he reaches into his outside breast pocket and removes ten or so cards without calling attention to it. These cards are added to the top of the deck. If anyone says anything about it, he replies, "Oh, these aren't important cards anyway." Another ending would be to take the cards back as you remark, "Oh, I forgot about these cards. Let me add them back to the deck." Here you do as you told them.